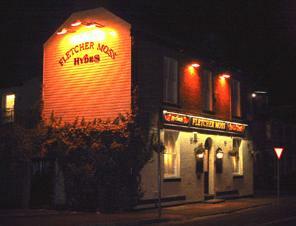 A good Hydes pub with 5 or 6 well kept cask ales, just round the corner from Didsbury Village tram stop. Well worth a visit if you're in the area. This is a beautiful, wonderful pub. The people of Didsbury are very lucky to have such a perfect local in their vicinity. Quite possibly, the best pub in Manchester (certainly in South Manchester). 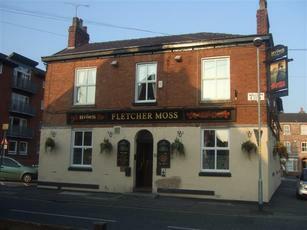 Been to the Fletcher Moss loads of times. Always a good place to visit, and a very popular place. As others have said it's location as a back street boozer helps to keep out most of the idiots. 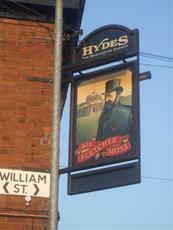 The Hydes beers are generally decent, and more recently they a Beer Studio tap too. One of the best pubs in the area and I've had many good nights there and also a good starter before heading on into town - or at least it was when I was younger! Great Hyde's pub serving Hyde's including Beer Studio, plus guests. Ale in tip-top condition - and 50p off each pint on Mondays. A must visit - 10/10. A decent pub, handy for Didsbury Village Metrolink. Decent cask ales.